Visit Osprey's Exos 34 page. 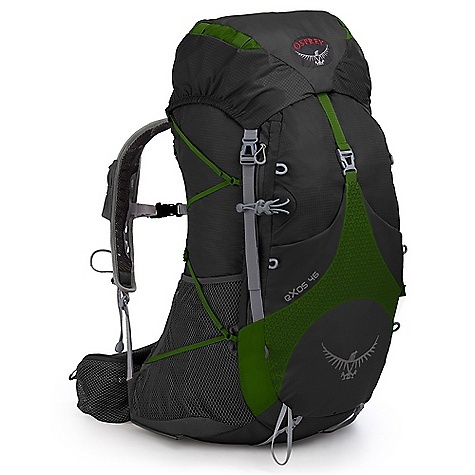 Pursue your ultralight backpacking adventures with the supportive, well-ventilated, and above all comfortable-to-carry Osprey Packs Exos 34 Backpack. 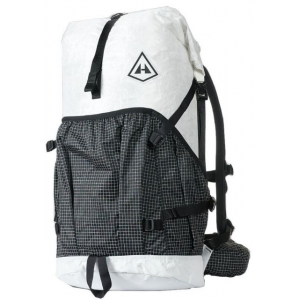 This ultralight Osprey pack can carry up to 25 pounds, making it the perfect overnight and weekend backpack or even a great daypack when your load includes bulky or emergency bivy gear. Fully featured, the Exos packs have lots of zippered and stretch mesh pockets to keep you organized, 2 sleeping pad straps, a single tool loop carry system, compression straps and their ingenious Stow-on-the-Go trekking pole attachment system. The modified aluminum Airspeed Suspension system, padded BioStretch Harness and padded mesh Hipbelt distribute the load comfortably and give your sweat plenty of opportunity to escape. 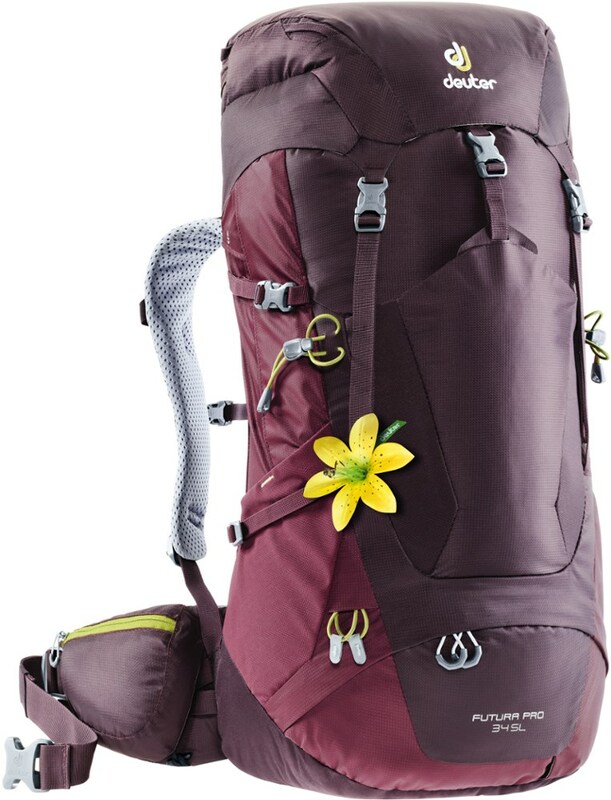 You wont see this kind of suspension or ventilation in any other ultralight pack. 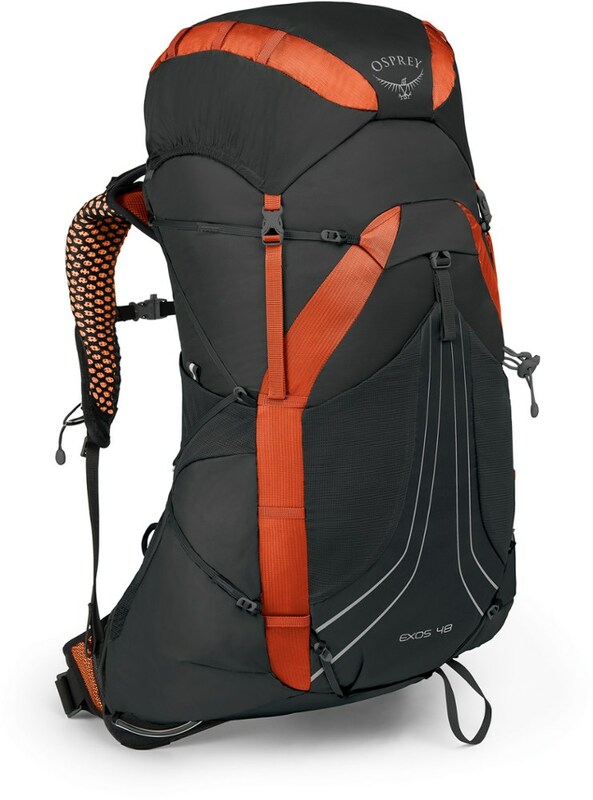 When your itinerary involves 25-mile days on the Pacific Crest Trail, 4 days exploring the canyons of Utah or even just an overnight with an early morning summit of a 14er in Colorado, through hikers and fast-and-light backpackers agree the Osprey Exos 34 Backpack is ideal. Winner of the Backpacker Magazine Editors' Choice Award. 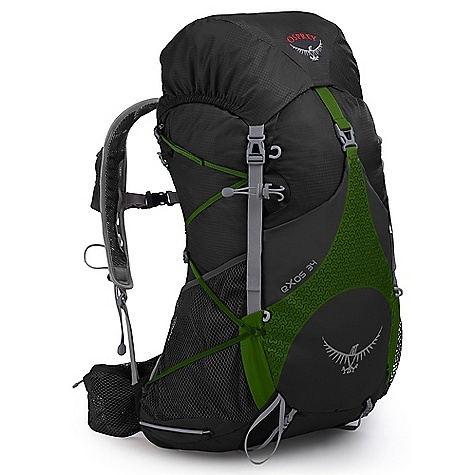 If you are a master of the art of lightweight packing then the Osprey Exos 34 might be your pack. 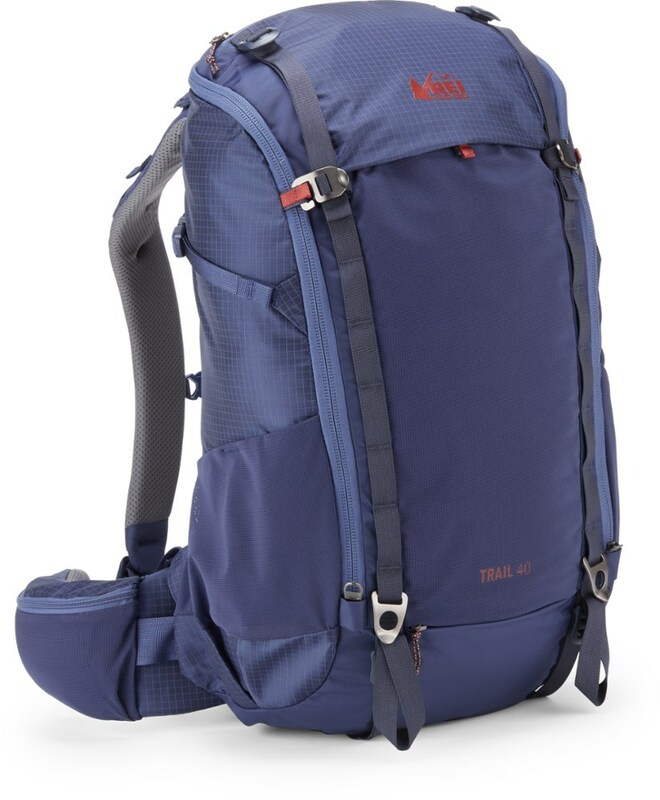 With plenty of room for weekend to week long trips and our AirSpeed suspension all coming in at 33.8 oz you'll be the envy of every fastpacker on the trail. 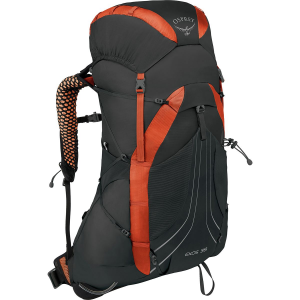 With an airy suspension that is both light and comfortable, the Osprey Exos 34 Pack gives you ultralight performance in a supportive weekend pack. On Sale. Free Shipping. Osprey Exos 34 Pack FEATURES of the Osprey Exos 34 Pack Removable floating top pocket Superlight 7mm webbing side compression Stow-on-the-Go trekking pole attachment Front Stretch woven pocket with integrated over-skirt compression strap Cord tie-off points Under-lid pocket Zippered mesh hipbelt pockets Sleeping pad straps Side stretch woven pockets with InsideOut compression Single tool attachment with bungee tie-off Mesh hipbelt Highly Ventilated And Supportive Biostretch Harness Mesh covered slotted foam Adjustable sternum strap with whistle Gel pocket Modified Air Speed Suspension 6061-T6 aluminum frame 3D tensioned breathable mesh backpanel with side ventilation Biostretch Hipbelt Mesh covered slotted foam ErgoPull closure SPECIFICATIONS of the Osprey Exos 34 Pack 70D x 100D shadowcheck 160 x 210 window ripstop Dimension: (H x W x D): 26 x 13 x 9in. / 65 x 34 x 23 cm The SPECS for Small Volume: 1953 cubic inches / 32 liter Weight: 2 lbs / 0.91 kg The SPECS for Medium Volume: 2075 cubic inches / 34 liter Weight: 2 lbs 2 oz / 0.96 kg The SPECS for Large Volume: 2197 cubic inches / 36 liter Weight: 2 lbs 3 oz / 0.99 kg OVERSIZE ITEM: We cannot ship this product by any expedited shipping method (3-Day, 2-Day or Next Day). Even if you pick that option, it will still go Ground Shipping. Sorry for being so mean. The Osprey Exos 34 is not available from the stores we monitor. It was last seen August 29, 2015	at CampSaver.com.